WHO HAD COOKED AND SERVED TO THE ROYAL FAMILY AND GUESTS INSIDE THE ROYAL PALACE OF THAILAND FOR MORE THAN 15 YEARS. AFTER THAT, HE MOVED TO THE UNITED STATES, CARRYING THE SECRET RECIPES OF LONG-HISTORICAL THAI CUISINE WITH HIS PASSION IN COOKING. FOR MORE THAN TWO DECADES, HE HAS EARNED MORE ENTHUSIASTIC COOKING EXPERIENCES IN NEW YORK CITY. THIS TIME IS A GREAT CHALLENGE AS HE HARNESSES HIS THAI ROYAL COOKING SKILL TO SPECIALLY SERVE NEW YORKERS. CHEF TEE BELIEVES THAT THE SIMPLICITY OF GREAT FOOD MUST CONTAIN TWO ESSENTIAL COMPONENTS, WHICH ARE HIGH QUALITY OF INGREDIENTS AND PROPER PREPARATION. HE ENSURES SUCH GREATNESS BY CAREFULLY SELECTING THE FINEST HERBS AND SPICES NATIVE TO THAILAND, ALLOWING US TO MAINTAIN THE AUTHENTICITY OF THE THAI CUISINE. HE ALSO ENHANCES THE TASTE OF EACH DISH BY ADDING LOCAL FRESHNESS AND SPECIAL INGREDIENTS. APART FROM GREAT DIETS, WE ACCOMMODATE OUR CUSTOMERS WITH CHARMINGLY WARM WELCOME AND EXCELLENT SERVICE. WE ALSO PROVIDE THE AMBIENCE THAT CREATES MEMORABLE AND UNIQUE EXPERIENCES. 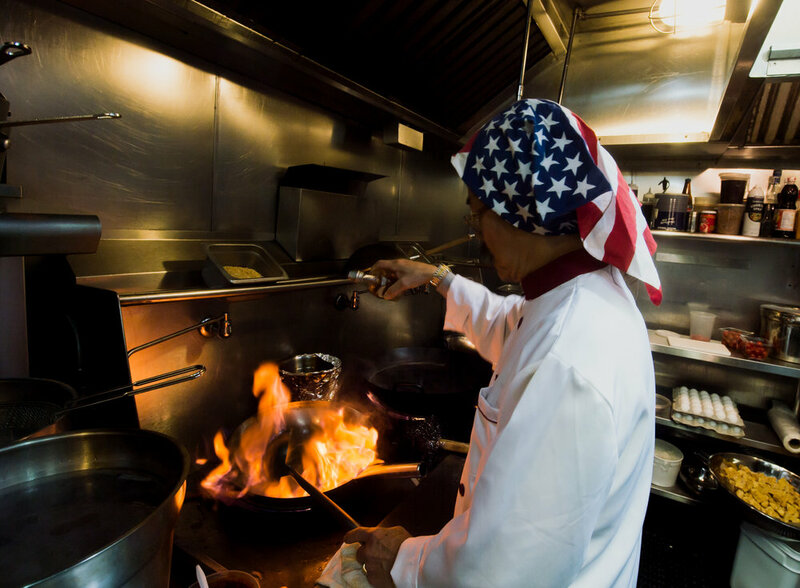 CHEF TEE STRONGLY BELIEVES THAT THAI FOOD WILL BECOME A COMMON FOOD FOR ALL AMERICANS IN THE NEAR FUTURE. Great Thai place all around! Very tasty food from an extensive and varied menu. Friendly service. Great value. A gem in the neighborhood. Dont miss it!